Kobo, the ereader and ebook retailer, announced the shortlists for their second annual emerging writer prize. Supporting talented debut authors, they hand out prizes for literary fiction, non-fiction, and romance. The shortlists were selected by a judge in each category, including Gail Anderson-Dargatz (literary fiction), Camilla Gibb (non-fiction), and Lynsay Sands (romance). ECW Press & Dan Rubinstein for Born to Walk: The Transformative Power of a Pedestrian Act, which was nominated for the non-fiction prize. 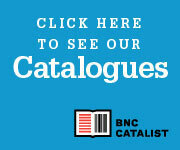 To view the full shortlists and to learn more about the Kobo Emerging Writer Prizes, please visit Kobo's website.